RAWR everybody! 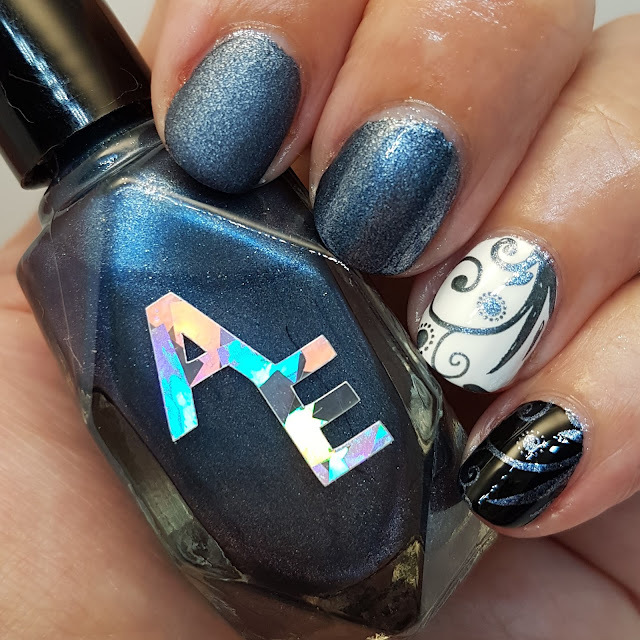 Today I want to share the 5 new Jurassic inspired polishes from Alter Ego in the new collection, Velocirapture! 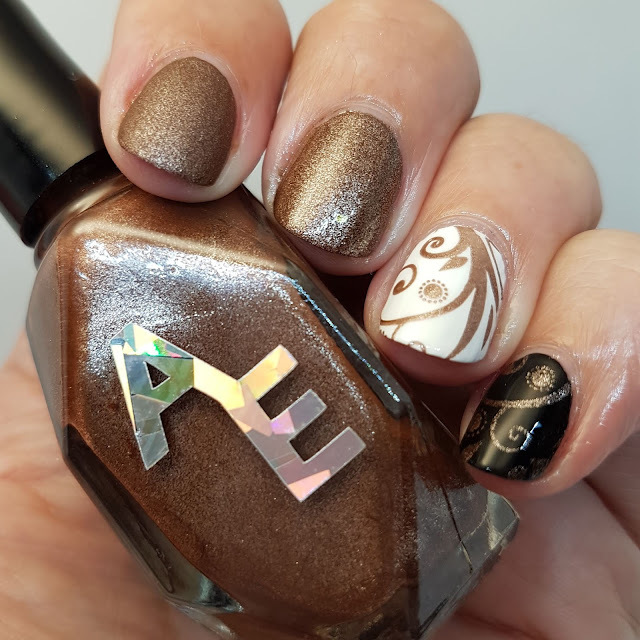 Later this week at Indie Expo Canada, Cynthia and Alter Ego Polish are going to be debuting a brand new collection inspired by the Jurassic film series. 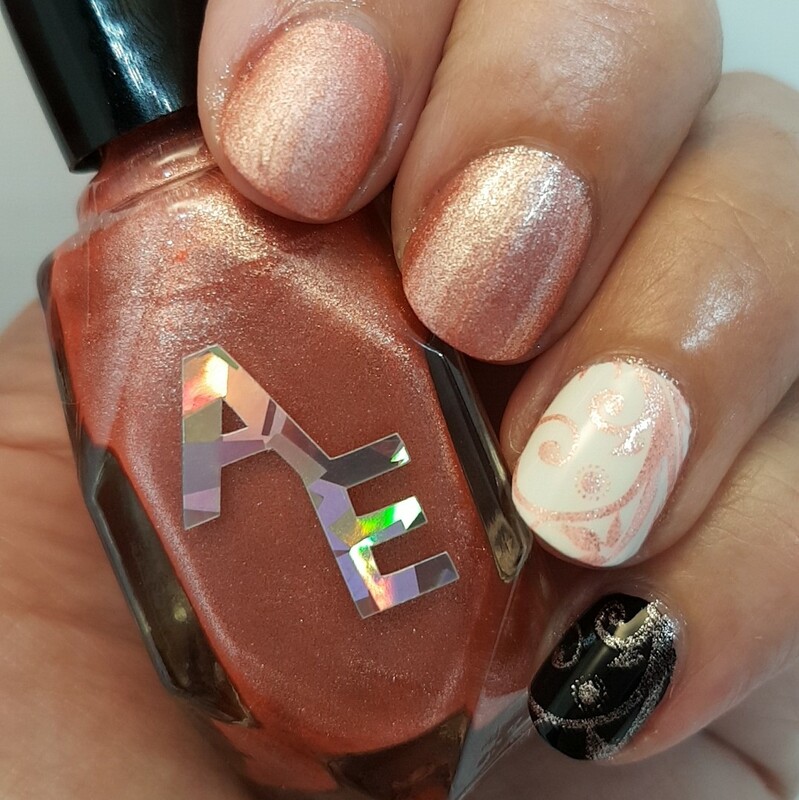 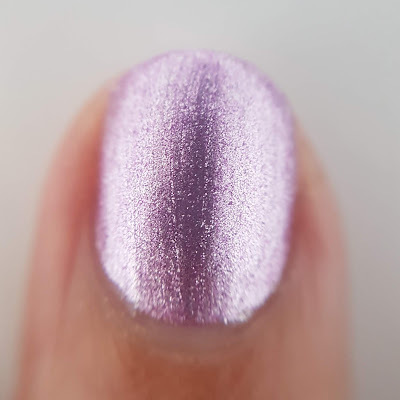 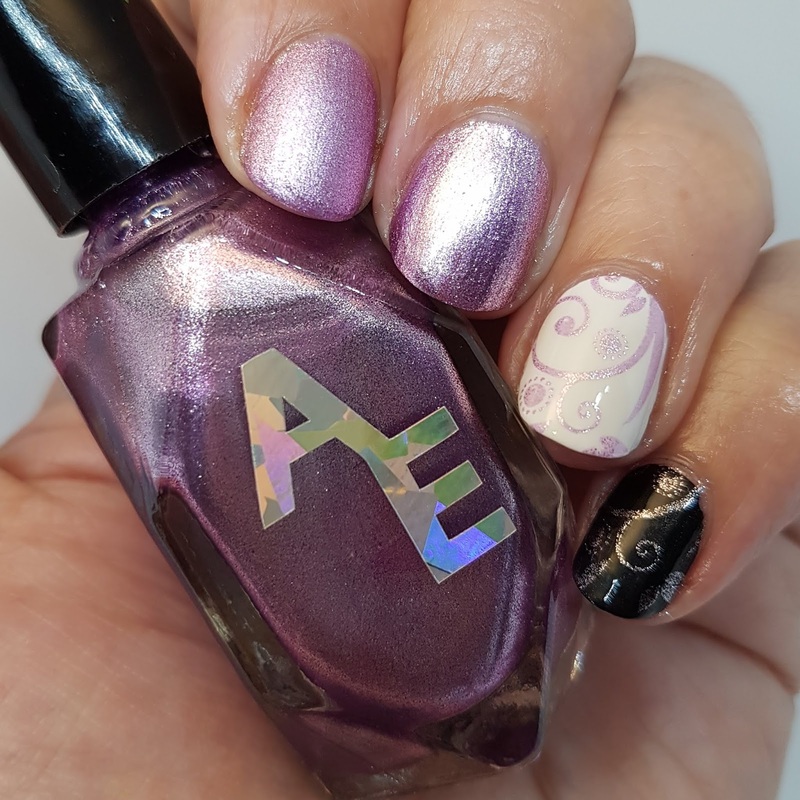 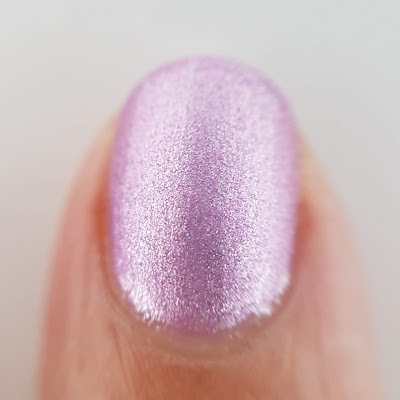 The collection name was suggested and voted on by the Alter Ego fan group on Facebook, which is also where Cynthia drew the inspiration for each polish and it's name! 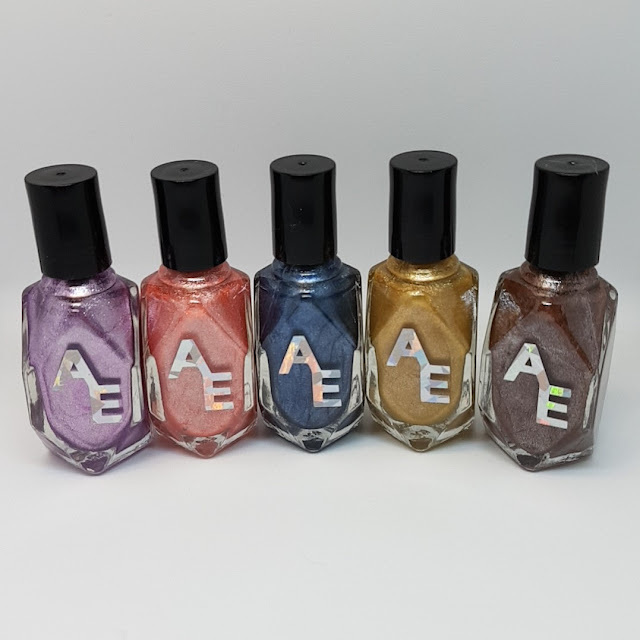 I like this entire collection, they are completely opaque in one to two coats depending on application, dry to a pretty satin finish on their own, look good shiny or matte and they all stamp! 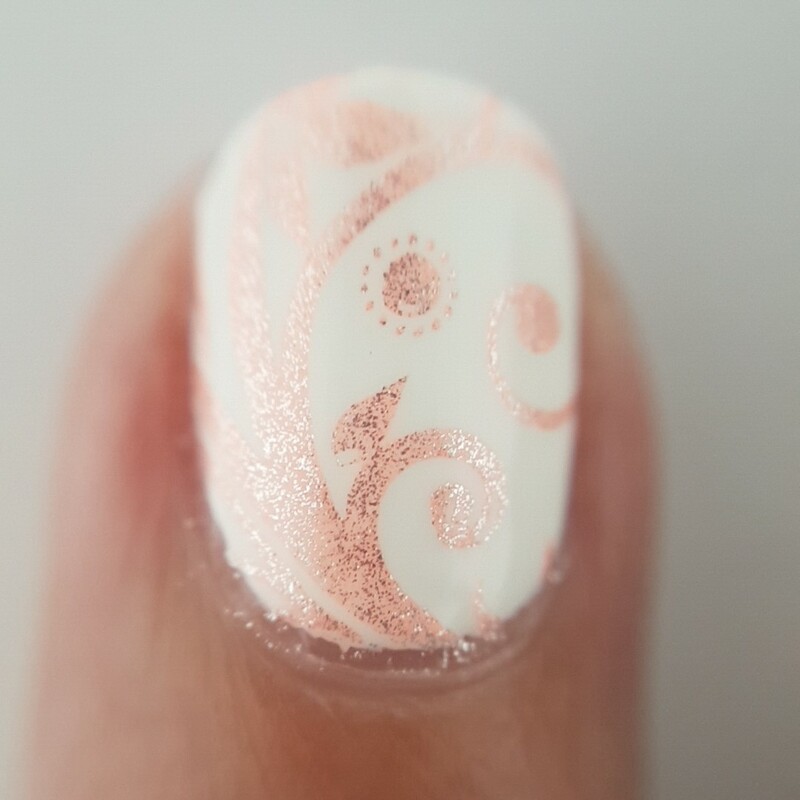 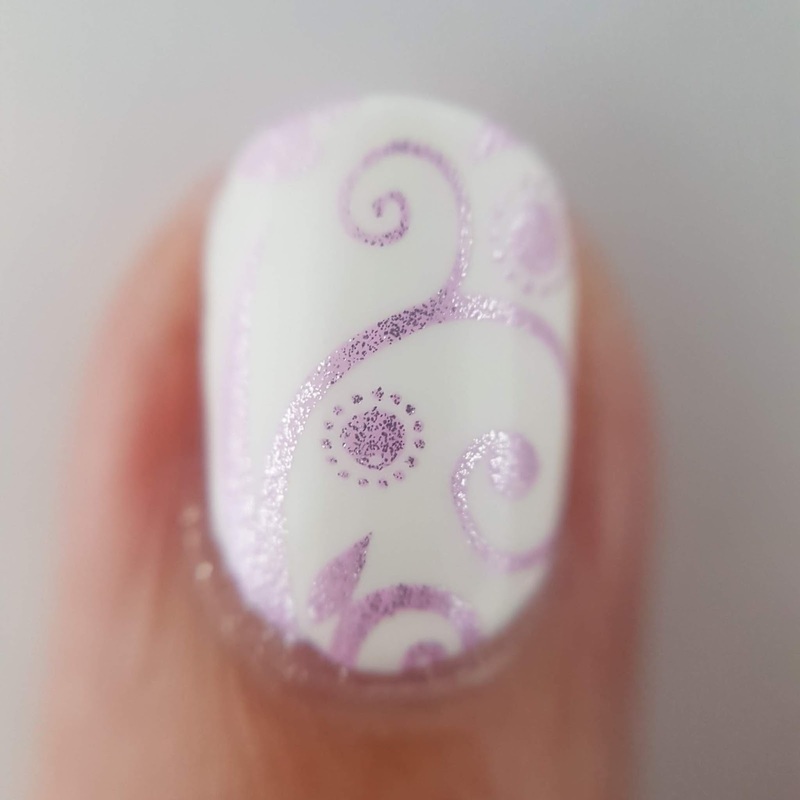 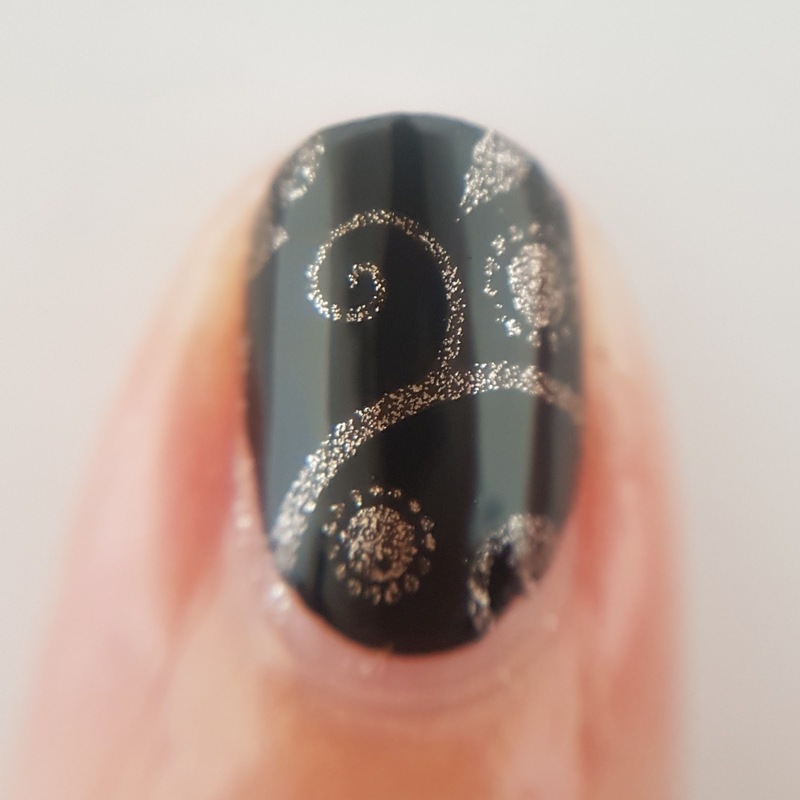 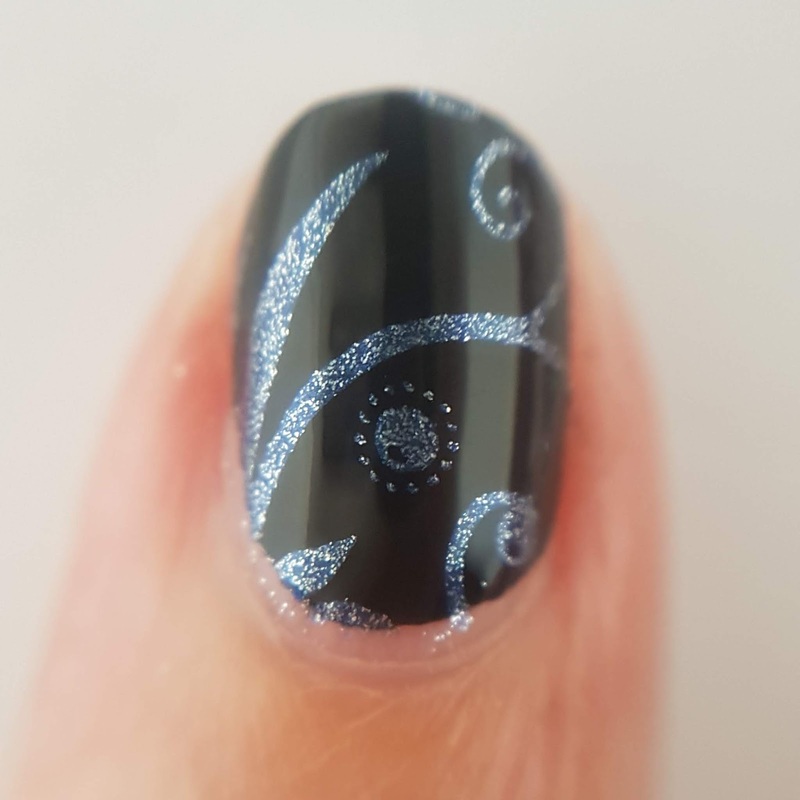 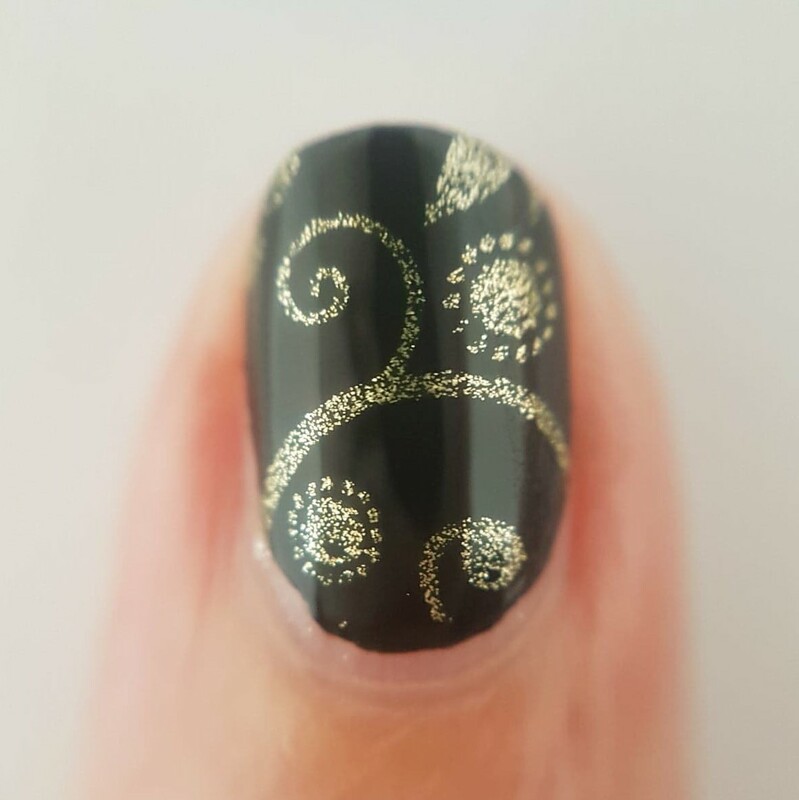 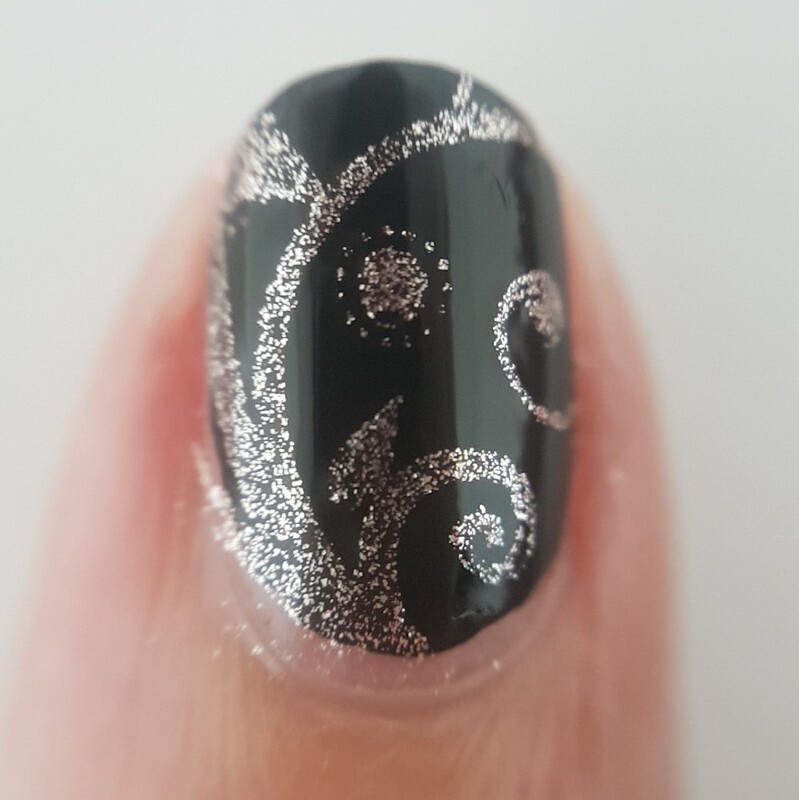 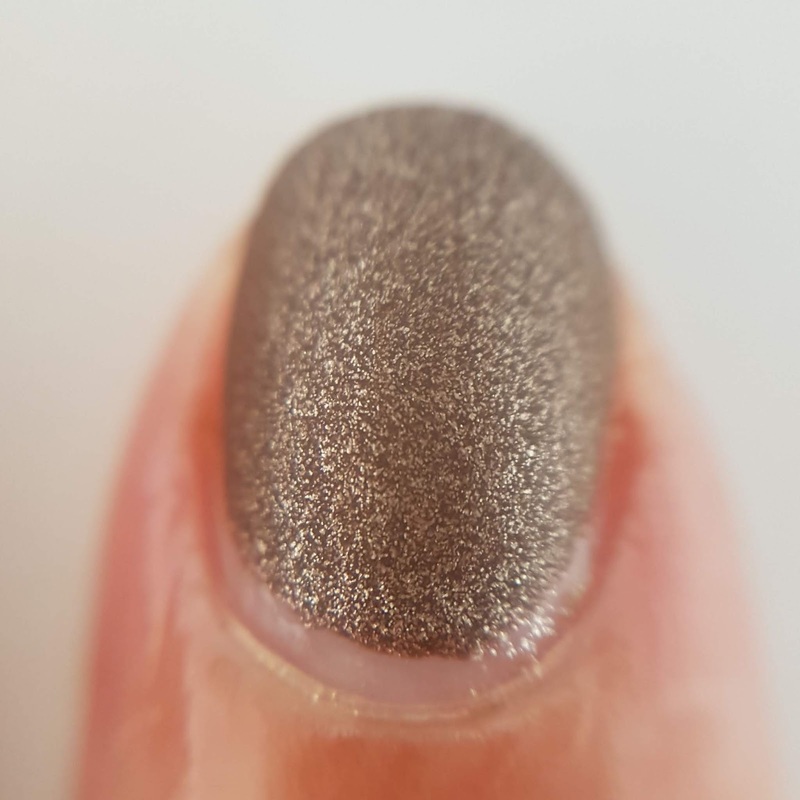 I love love love a polish that will double as a stamping polish as well! 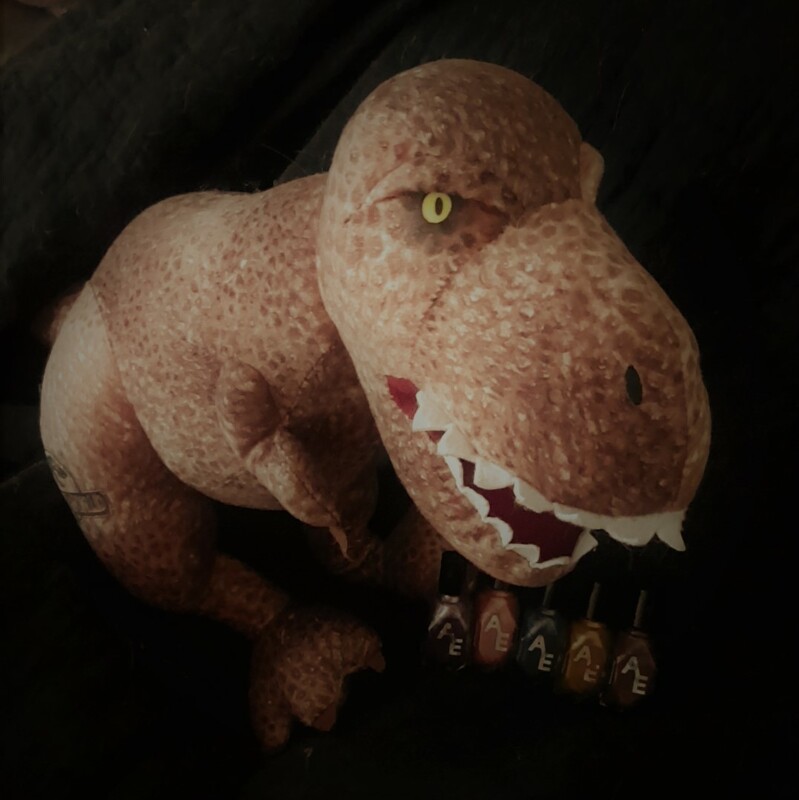 I suggested my favourite scene from the original movie as a possible inspiration and taa-daa, here is Nice Boy from the scene with Dennis Nedry (Newman, he'll always be Newman to Seinfeld fans) and the Dilophosaur! 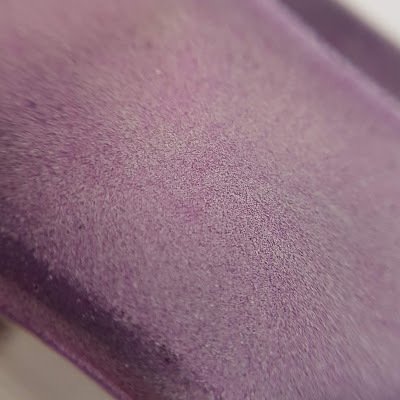 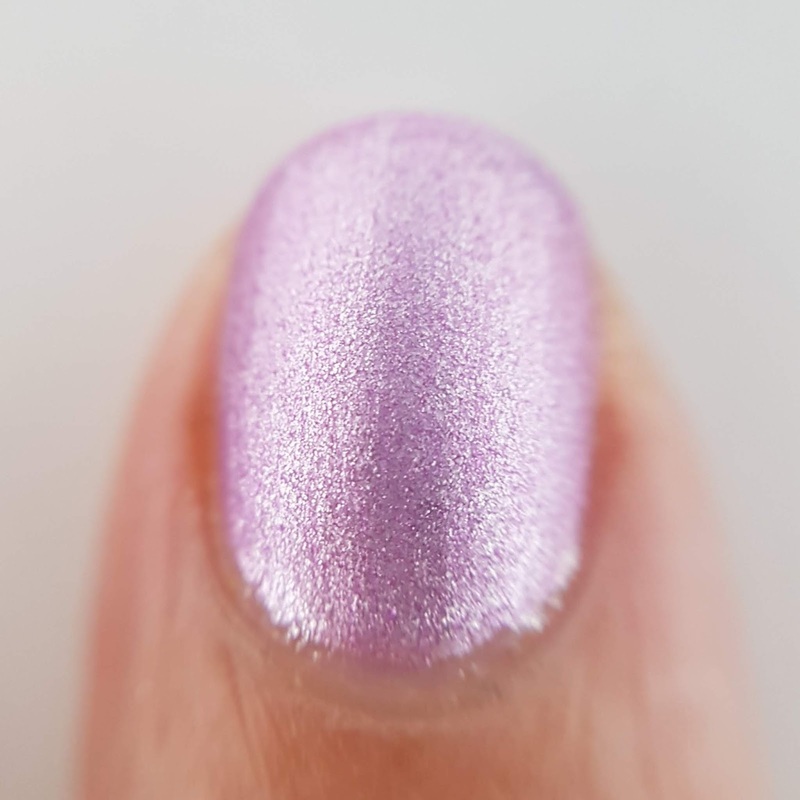 This polish is a beautiful lavender purple, completely opaque in 2 coats, and just gorgeous with a matte top coat (which Cynthia is also introducing with this collection)! 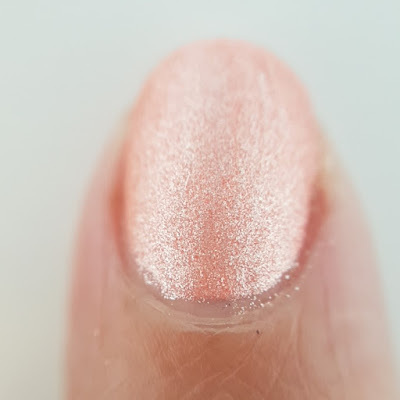 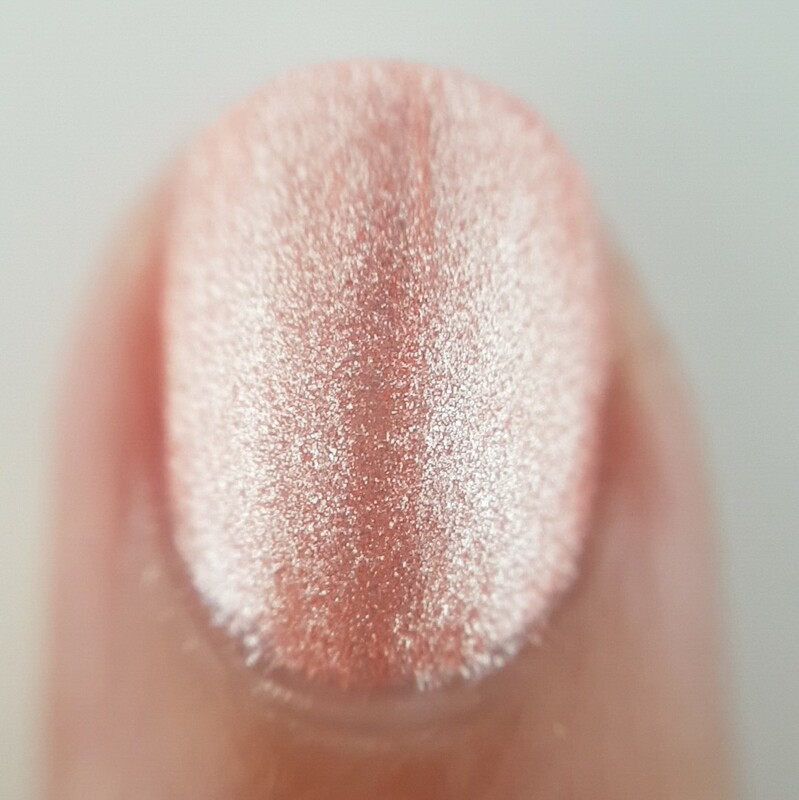 Women Inherit the World is a pretty coral/salmon pink that just glows on the nails. Opaque in two coats, beautiful shiny or matte, inspired by this line in the movie (Jeff Goldblum talking to Laura Dern) and book. 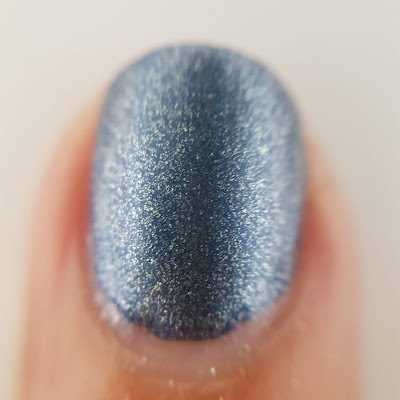 I love a good blue polish, and this next one definitely falls into that category! Here is Hold Onto Your Butts, from when John Arnold (Samuel L Jackson) is rebooting the system. 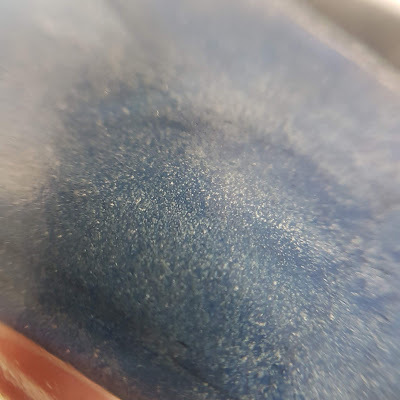 It's a nice medium shade of blue and is a one coat polish! 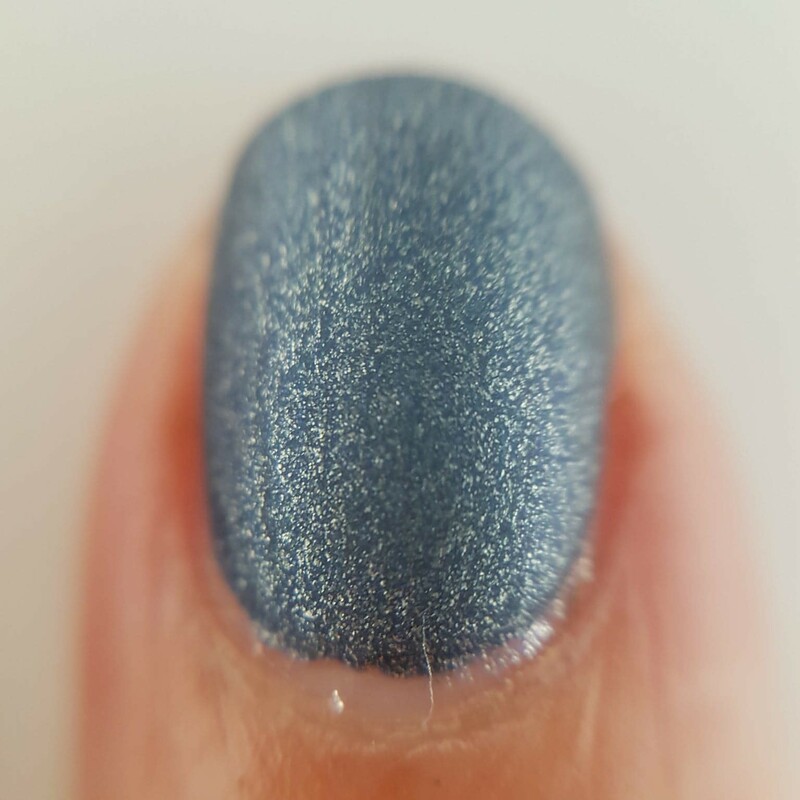 Oh how I love a one coat polish! 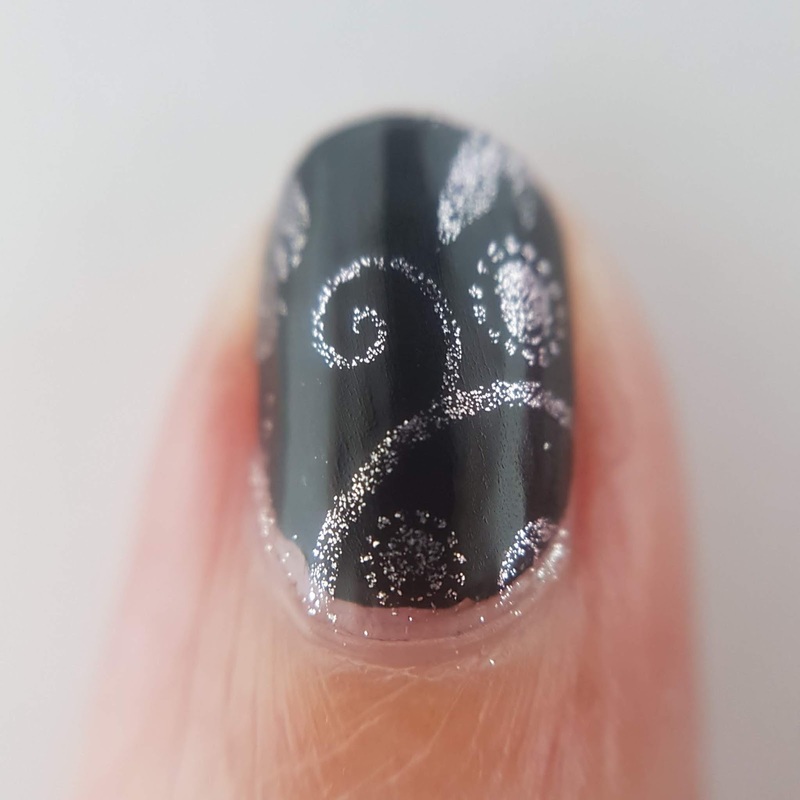 Shown here in two, but I definitely could have gotten away with one on my short nails! 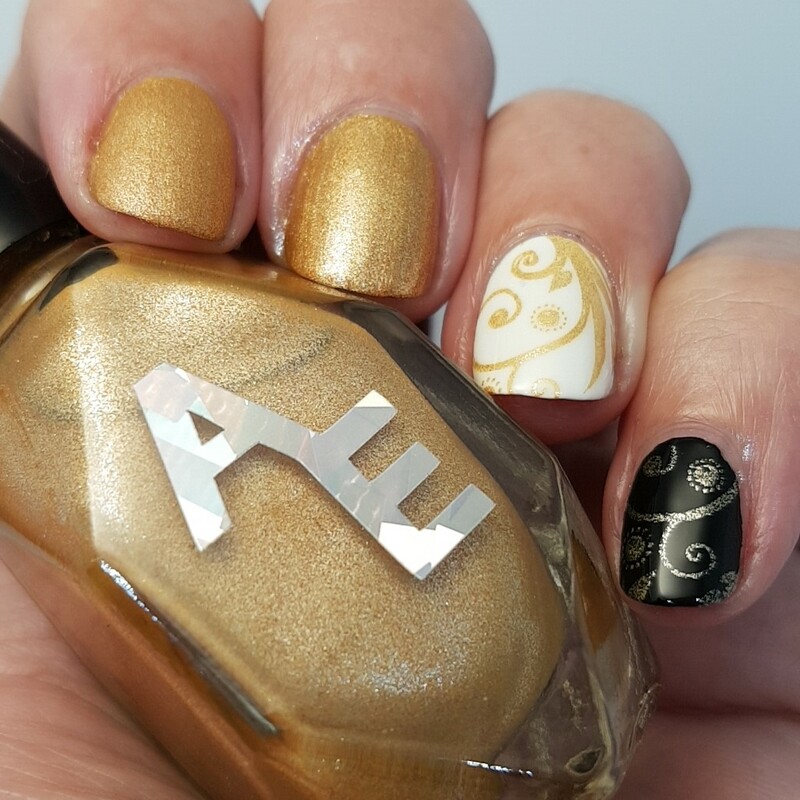 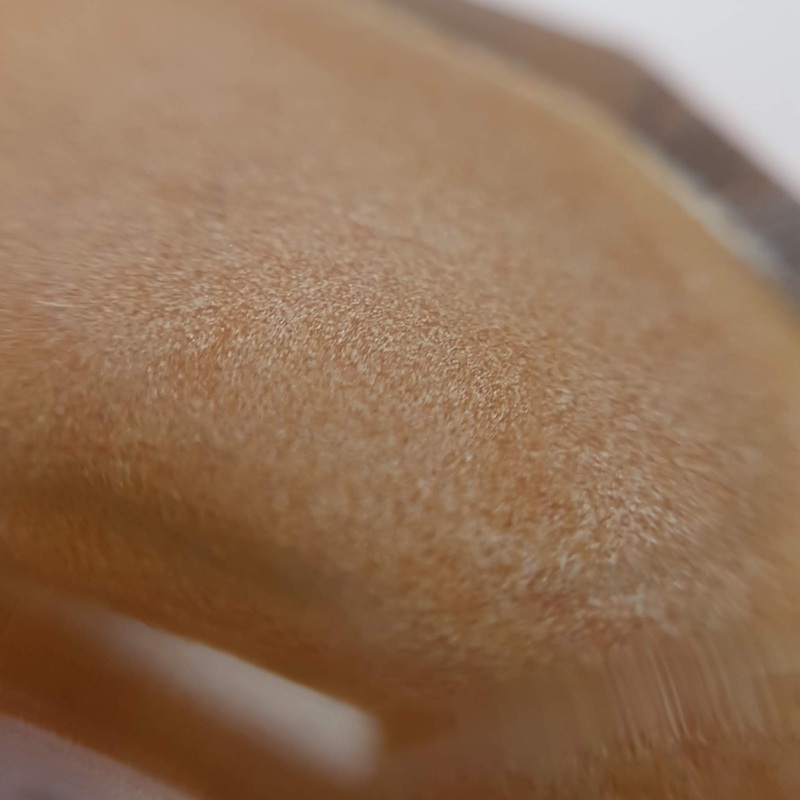 Next up is Forever in Amber. 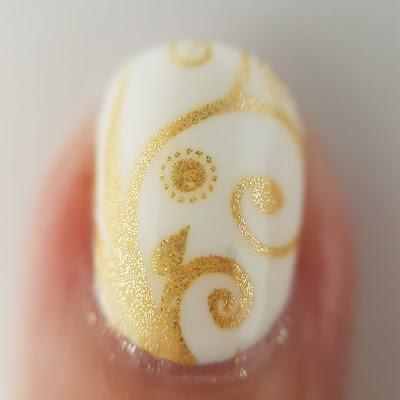 Another that glows, it can look deep yellow, gold or like the name, amber depending on how the light hits the nail. 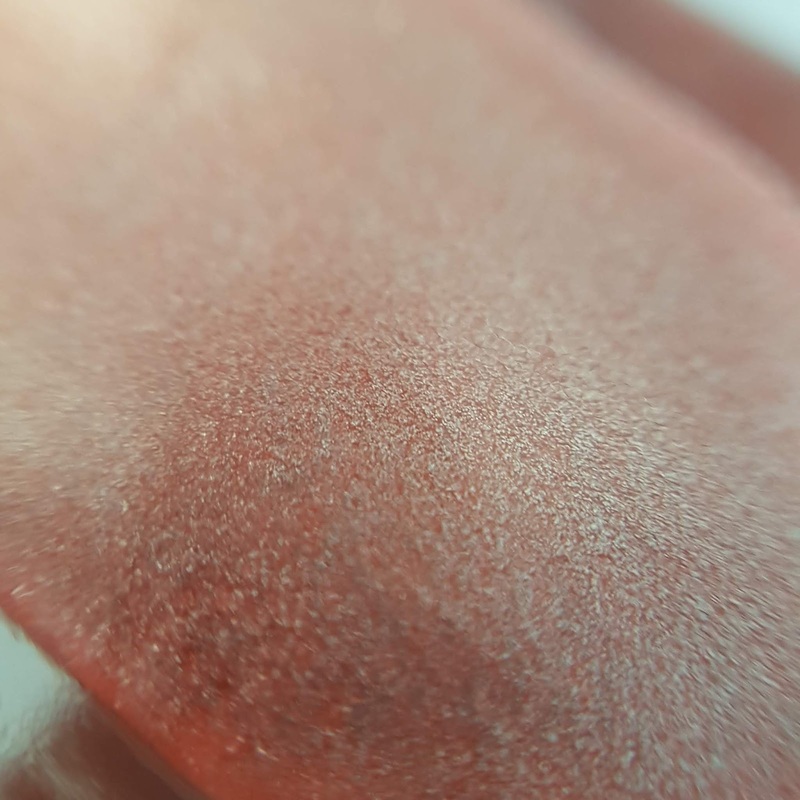 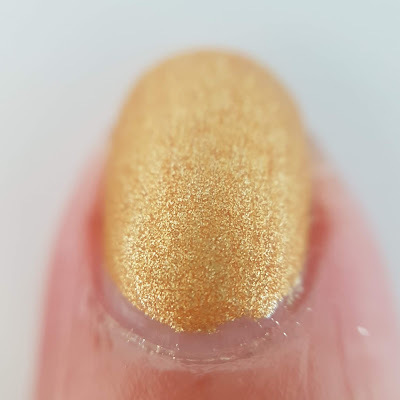 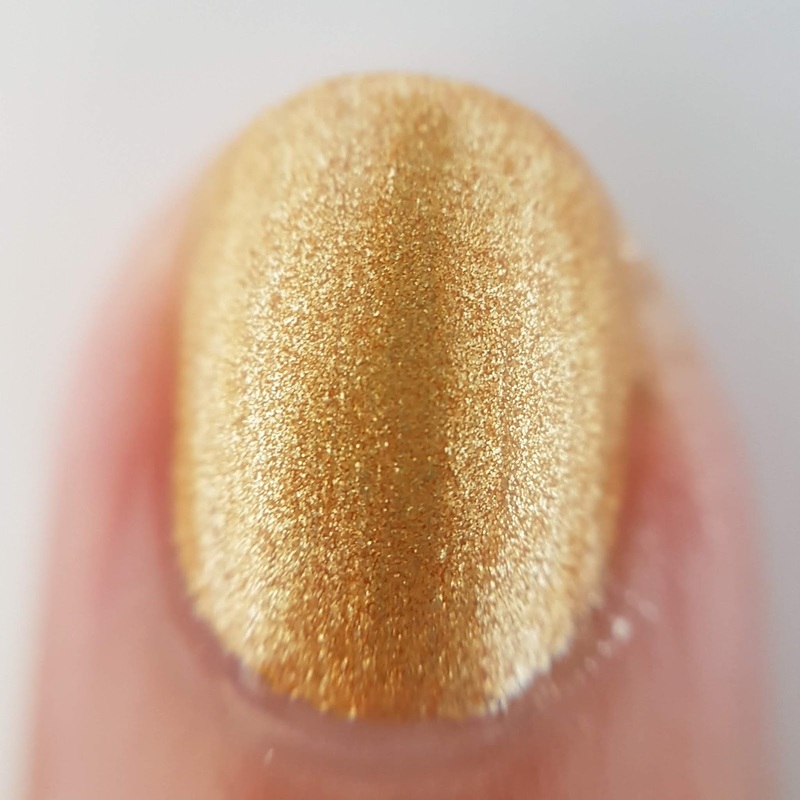 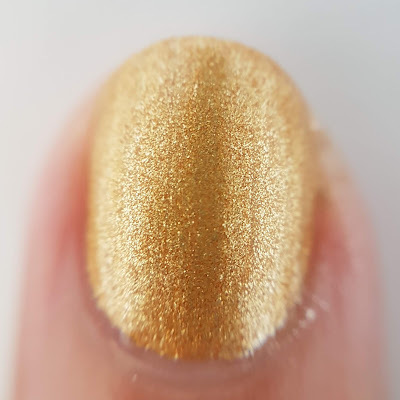 I really love this one matte because it looks so velvety and also stamped over white because it just looks so sunny! 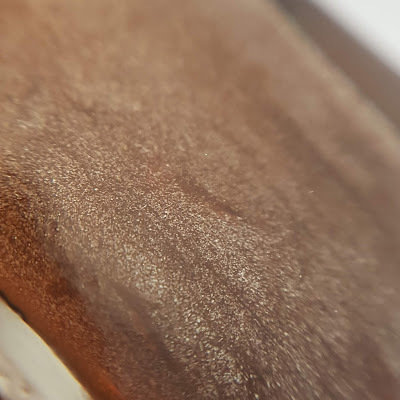 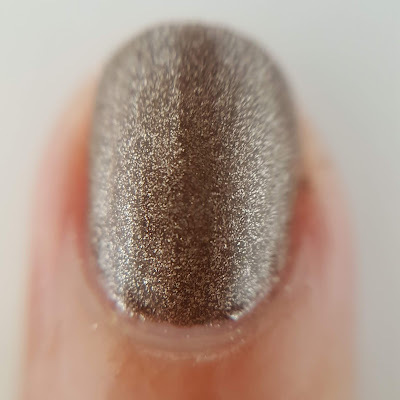 Saved my favourite for last, this metallic milk chocolate brown is Clever Girl. Named for the scene where the hunter is taken down by the crafty raptors and I'm willing to bet some of us jumped a little! I really love this polish, it went on easily in one coat, the shade is perfect and it stamps I think the best of all five polishes. 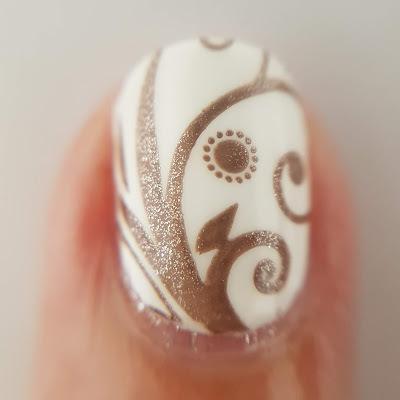 This one will definitely be used often here. These polishes will be available at Indie Expo Canada this Sunday, June 10th in Toronto! I hope you like them as much as I do and stop by to see Cynthia and scoop them up! Both Anita and myself will be there too and not to toot our own horns, but we are pretty fun, so come say hi if you see us! 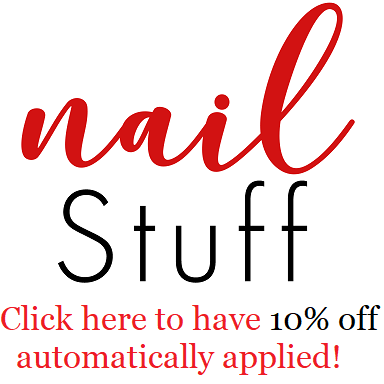 Thank you for your thorough and detailed review! 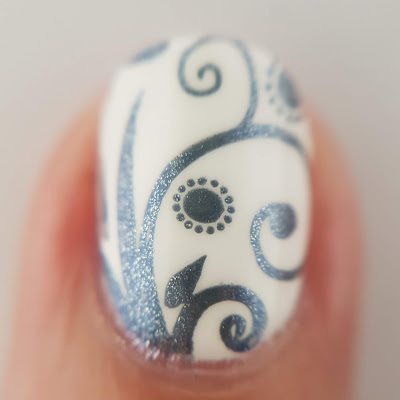 Your manis and photos are spectacular!